I finished up the second Drizzt book and already it's starting to feel like so many other generic fantasy stories that I've read. I thought that the Drizzt books might be a good place to sink my teeth into the greater world of Dungeons and Dragons lore but I'm starting to realize that these books would appeal to a fourteen year old me much more than they appeal to me now. They don't seem like they're doing anything new or interesting. Being a completionist I will probably finish out this first trilogy of Drizzt books before setting them down. I'm already two thirds of the way there so why not? This book, Exile, in particular finds Drizzt after he has rejected his heritage as an evil Dark Elf (Drow) and has gone a little bit feral in the underdark on his own. He ends up making his first real friends and then spends most of the novel running away from the part of the Drow that are hunting him. It's a direct continuation of the first book and ties back to it nicely. 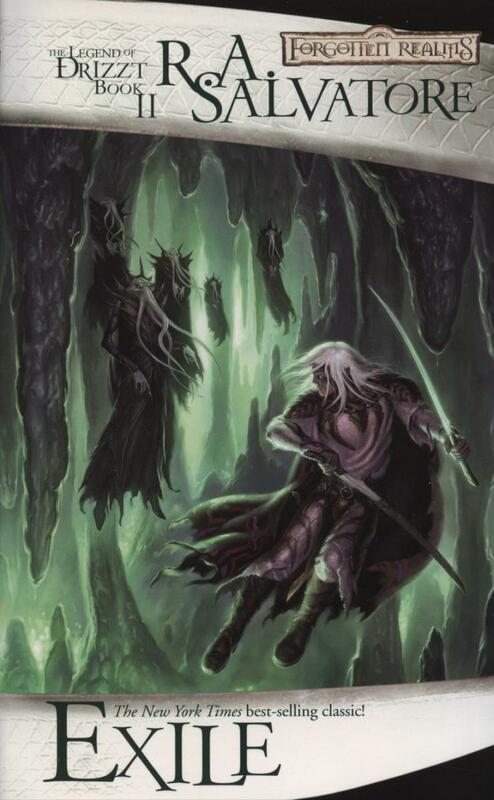 I'm kinda sick of the Underdark setting as well. Being in an underground cavern system for two entire novels has started to wear thin. I didn't hate this book, I just didn't love it. I'll see how I feel after I wrap up this first trilogy but I'm strongly leaning towards stepping away from this series at that point. Even when I read this series as a teen I felt that Exile was the weakest of the trilogy. I loved the 1st, was kinda neutral about Exile, and then liked the 3rd. It takes place on the surface, so you may like it more. Guess we'll see, no? FWIW, I read the series again in my 30's and liked all 3 well enough, but it also didn't resonate with me as much as it had when I was "an outsider teen with angst to spare" either.